Published with the Nationalmuseum, Stockholm. Carl Larsson (1853–1919) was a Swedish artist who painted many portraits and book illustrations, but he is remembered above all for the watercolor paintings he made of his wife and children at home. He could paint an empty room, or he might paint a room crowded with kids in fancy costumes. Carl’s wife, Karin, was an artist too, and their house was full of flowers, books, and painted furniture designed by the two artists. 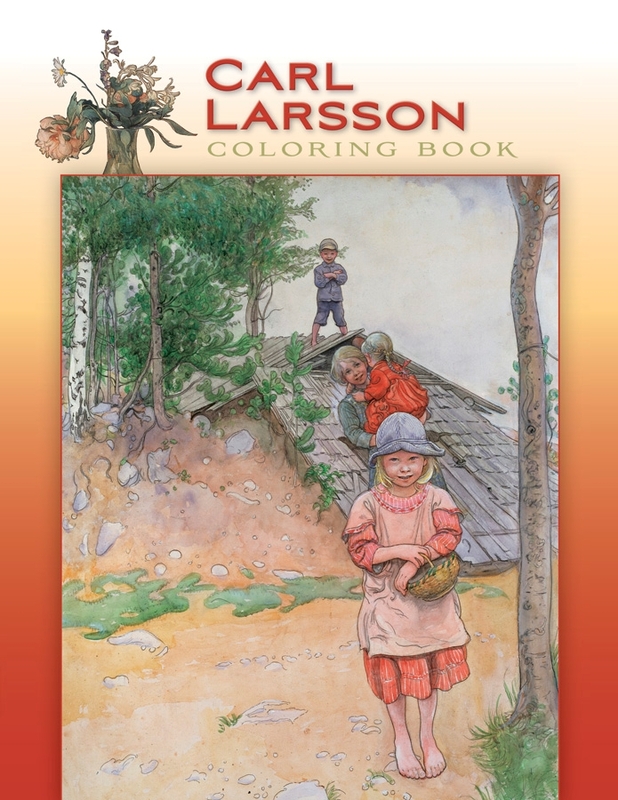 You will find twenty-two of Carl Larsson’s pictures in this coloring book. They are shown as small pictures on the inside front and back covers. When you color in the line drawings, you could copy the originals or you could try out some color combinations of your own. For instance, the white dress Martha Winslow is wearing in picture number 8 might be red when you’re done coloring it! We’ve left the last page of this coloring book blank so that you can make a picture of your own—maybe of your favorite room?